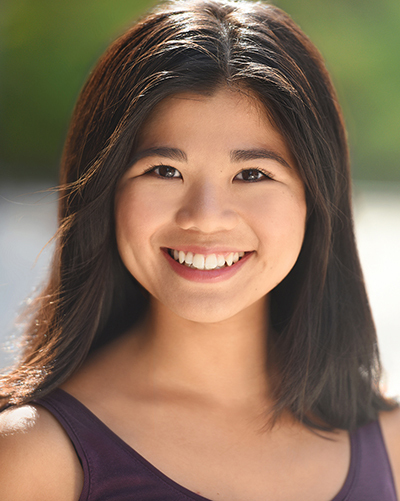 Fern Lim | SAG-Eligible Actor. Purveyor of Joy. Local hire: NYC+LA. SAG-Eligible Actor. Purveyor of Joy. Local hire: LA+NYC. So what’s she up to? Fern recently played James, a teen with a rough history on a mission to set things straight in the drama Business Dinner, directed by Sean Patrick McAuliffe. Earlier this year, she played Frannie, a comedic reporter-intern in the sitcom Exit 0 – The Last Stop, which filmed in Cape May. Fern is a lead actor and co-producer of the comedic webseries Human Telegraphs. Episodes 2-8 are currently in post-production. Until then, watch the pilot, Season 1 trailer, and other behind-the-scenes goodies on YouTube. She also writes a weekly newsletter called the little things, a collection of love notes to reality.